The Grimesley Family Cemetery is located near the corner of Mulberry Bottom Lane and Saratoga drive between two suburban homes. The Grimesley Family Cemetery appears to be an abandoned and desecrated family cemetery, at one point a fence stood around the cemetery but now there is only the remnants of that wired fence. This small cemetery contains three burials clearly marked by marble markers, one extra marble fragment and eight other possible burials marked by field stones. 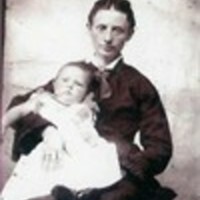 An image of Tabitha Grimsley holding her daughter. This image was taken approximately when she was in her mid 30's around 1840. The Grimesley Family Cemetery is located near the corner of Mulberry Bottom Lane and Saratoga drive between two suburban homes. Located on public property it is owned by the Fairfax county park authority. 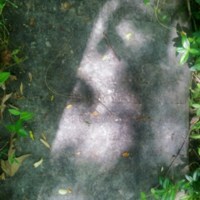 This headstone is of Tabitha Grimsley and it lies in the ground half broken. 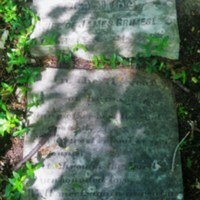 This is the headstone on James Grimsley, it lies broken on the ground on the East side of the cemetery right across from Tabitha Grimsley his wife. 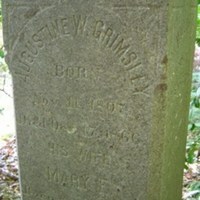 Photograph of the headstone of Augustine W Grimsley located in the Grimsley Family Cemetery. Augustine W Grimsley (1807-1866) was the husband of Mary E Grimsley and the father of William A Grimsley. 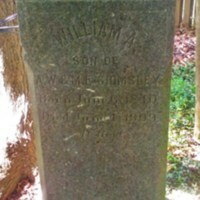 Photograph of the Headstone of William A Grimsley, located in the Grimsley family cemetery. 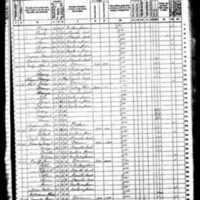 William A Grimsley (1840-1909) was the son of Augustine W Grimsley (1807-1866) and Mary E Grimsley (1811-1888). 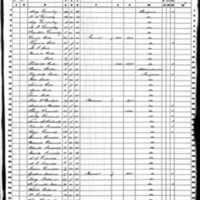 This is the 1860 Census record where James Grimesley is listed as the Head of househod. 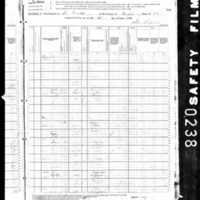 In this census James ocupation is a farmer, the value of his real state is 600$ and the value of his personal state is 250$. 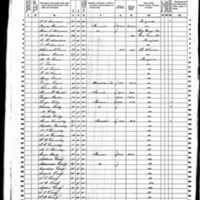 This is the 1880 U.S Census record were James Grimsley is listed as the head of household.